In May 2010 the new version of SQL Server will be launched named: SQL 2008 R2. In this blog I will list my favorite 8 features. Report Builder 3.0. Report Builder 3.0 is a report authoring tool that you can use to design and publish your own reports. It's the successor of Report Builder 2.0 and it's support all new SQL 2008 R2 reporting services features. When you design a report, you specify where to get the data, which data to get, and how to display the data. When you run the report, the report processor takes all the information you have specified, retrieves the data and combines it with the report layout to generate each page as you view it. You can preview your reports in Report Builder, or you can publish your report to a report server where others can run it. Reporting server support for Databars, Sparklines, Indicators and Maps. These visualization features enables a user to build nice dashboard. These visualization features enables you to build nice dashboards which can be used in web applications which have integrated SQL Server Reporting Services (SSRS) like Exact Synergy Enterprise. Compressed backup support in SQL 2008 R2 Standard Edition. Backup compression is introduced in SQL 2008 Enterprise edition. In SQL 2008 R2 it is also available in the Standard edition. Unicode compression. As more and more businesses developing global customer base, applications are being developed/modified to use unicode based data types such as NCHAR and NVARCHAR. SQL Server uses UCS-2 encoding scheme that takes two bytes of storage regardless of the locale. For example, in ASCII character set when stored as NCHAR, each character only needs 1 byte of storage but it is stored using 2 bytes with the significant byte being 0. In fact most European languages need only 1 byte of storage. When an application is either converted or written to user unicode based data types, it can, depending on the size of strings, increase the storage requirements significantly. Unfortunatly Unicode compression is not supported for NVARCHAR (MAX) type, including in-row values or for NTEXT. This is something Microsoft will consider in the future release. Unicode compression is automatically included in Page or Row compression. The compression is handled by the SQL server engine so no application changes are needed to use it. Master Data Services. With Master Data Services, IT organizations can centrally manage critical data assets companywide and across diverse systems, enable more people to securely manage master data directly, and ensure the integrity of information over time. This is the first step in centrally manage master data. The challenge in your organization will always be: Who is allowed to change what master data. The bigger your company is, the more complex it will be. SQL Server Utility and Multi-Server Dashboards. SQL Server utility and multi-server management will help organizations proactively manage database environments efficiently at scale through centralized visibility into resource utilization and streamlined consolidation and upgrade initiatives across the application lifecycle. SQL Server 2008 R2 Datacenter and SQL Server 2008 R2 Parallel Data Warehouse. These 2 new premium editions are introduced to meet the needs of large scale datacenters and data warehouses. 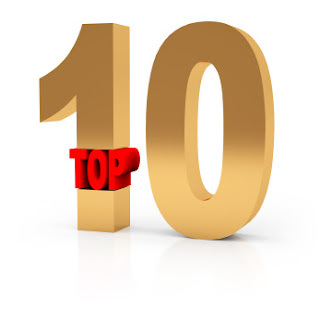 What are your favorite features to complete this TOP 10 list?